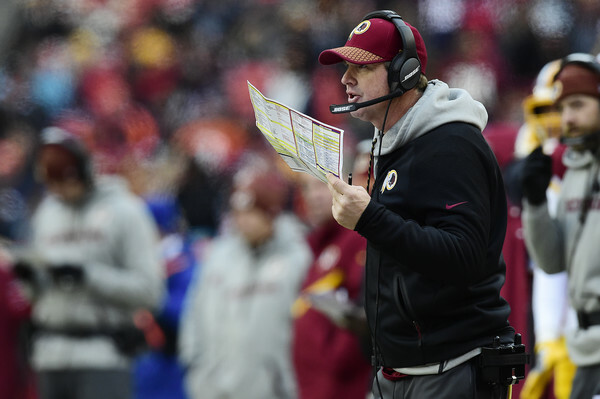 Gruden states that it was time to stop “playing the tag game” with quarterback Kirk Cousins. Gruden continued to say it was time to get stability at the most important position in sports, the quarterback. Also said that if Washington isn’t where Cousins wanted to be, let him move on and find that place for him and his family. Gruden stressed that a quarterback would have to make off schedule plays. Seemed to say that is a skill the Redskins needed from the quarterback position. Gruden stated that they must address the left guard position. That was the obvious weak spot in the line, look for the Redskins to address that through the draft. Also need to address the running back position as well. He likes Chris Thompson, Kapri Bibbs, and Byron Maxwell as pass catchers, and Samaje Perine and Rob Kelley as power backs. Still looking for more. 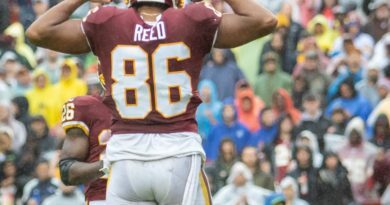 When asked about safety Su’a Cravens, Gruden seemed non-committal about him rejoining the team. Said that the team had special plans and situations for him, and even went as far as to say they wasted time because he wasn’t there. Gruden has not spoke to him be believed that his personal issues were resolved. 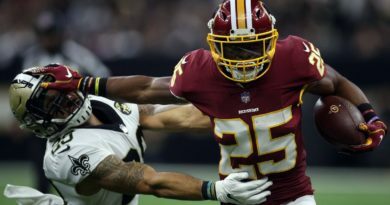 Gruden spoke glowingly of safety Montae Nicholson. Gruden said he spoke to him and his shoulders were good, and his concussion issues were resolved. 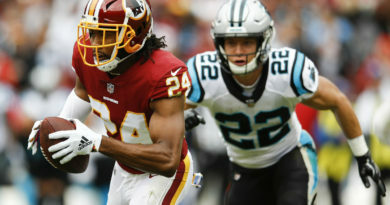 Gruden continued that Nicholson being the free safety allow safety DJ Swearinger to have a more streamlined role, and allows the corners to take more chances because they know Nicholson is behind them. Reflecting on the season Gruden said he was satisfied at where the “program” was at this point. The 7-9 record was not good enough and especially 1-5 in the division. 6-4 outside of the division is not bad but the team cannot go 1-5 against the NFC East and expect to compete. When asked about the run defense dropping after defensive end Jonathan Allen’s week 5 injury, Gruden stated it was more than just him. Linebacker Mason Foster’s injury and other factors contributed to the run defense issue. Hopefully those guys healthy plus resigning linebackers Zach Brown and Will Compton should fix that problem. Gruden is always pretty forthcoming and this interview was more of the same. Gruden seems relaxed and happy about the quarterback position now. The on field workouts for the draft combine starts tomorrow with the running backs, offensive lineman, and special teamers. Stay here for updates.